Offering three deep adjustable shelves and two large drawers, this wallbed bookcase provides display space in addition to lower drawers that can store bed linens, photographs and more. A classic addition to any room, this wallbed bookcase with full doors is designed to function as a wardrobe or an entertainment center. It has a generous cabinet, housing three adjustable shelves allowing you to store everything from clothing to a complete media system. Two lower drawers provide storage space for linens or other necessities, completing this model’s outstanding versatility. 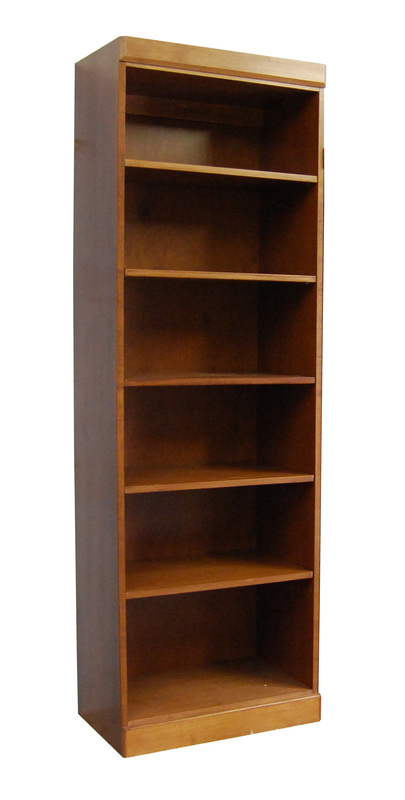 This wooden wallbed bookcase model was designed to offer maximum storage possibilities, while maintaining a sleek and comfortable style. 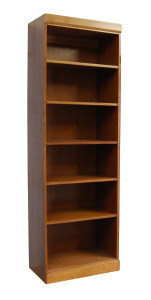 As a modular design, this bookcase will match flawlessly with any of our Murphy bed furniture styles. This classic wallbed bookcase is a combination of shelves and doors, providing both display space and concealed storage. Featuring three deep adjustable shelves on top and another behind cabinet doors, this bookcase is an add-on that really adds value. Top cabinet doors open to reveal two adjustable shelves while a slide out tray that provides an accessible area to hold bedside necessities when your bed is engaged, and two lower drawers provide ample storage space.